New market research report “Chinese Medical Device Market Outlook 2012-2022” drawn up by Visiongain has been recently published by Market Publishers Ltd. The report forecasts that China’s medical device market will reach USD 45.0 billion by 2022. China’s medical device industry relies largely on imports, and with the country's GDP growing at a rate of 10% per annum, there will be increased demand for imported medical products and equipment. Furthermore, there is substantial opportunity for foreign medical devices manufacturers to set up operations in China to take advantage of the increased government and vast patient pool. By 2022, China’s medical device market is forecast to reach USD 45.0 billion. Besides increase awareness, one of the key factors contributing to the market growth is patient demographics in China. As the disease incidence caused by the aging population continues to rise in the country, there will be strong demand from patients seeking advanced medical procedures and techniques that can provide safe and effective diagnoses or treatment, ultimately driving an upsurge in the use of medical devices. New market research report “Chinese Medical Device Market Outlook 2012-2022” drawn up by Visiongain has been recently published by Market Publishers Ltd. The report tackles key issues in China’s medical device industry and market through to 2022, focusing on diagnostic imaging, consumables, orthopaedics & implantable medical devices, dental submarkets. The study provides a wealth of information, including sales forecasts, market share analyses, discussions of technological developments and analyses of commercial drivers & restraints, as well as a SWOT analysis. It also identifies several leading companies, besides profiling the four of them. 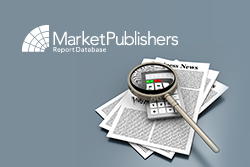 More new market research reports by the publisher can be found at Visiongain page.